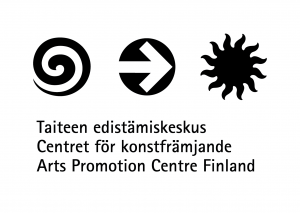 7.-9.9.2018, ITÄ 2018 Festival, Stoa. Performances 8.9. at 17.30 and VauvaVau 9.9. at 12. 24.-25.8.2018, Let’s Dance Helsinki Festival, Messukeskus. Performances 24.8. at 19, 25.8. at 19, workshop 25.8. at 16. Booth 3 A 10. 22.5.2018, Millennium Technology Prize, Merikaapelihalli. Tanssi vieköön Festival in Messukeskus Helsinki 18.-19.8.2017. Vaippakansan karnevaalit, Malmitalo, 7.5.2017 at 10, 11, 12.30 and 13.30. More performance dates and venues will be published here regularly.